Sign up to get The Yaminade in your inbox! Episode 9: The best bits of The Yaminade – 2014 Edition! have been asked a question about how to measure the “success” / “ROI” / “Engagement” / “Reach” / <Insert vanity metric here> of your enterprise social network. In this episode we are joined by Dean Swann (@sdeanswann) and John White (@diverdown1964) from UnlimitedViz — the company behind tyGraph. We geek out about business intelligence and your Yammer network – not only why and how we can measure activity, advice but more importantly what actions we can take as community managers leveraging data to create more engaged communities. 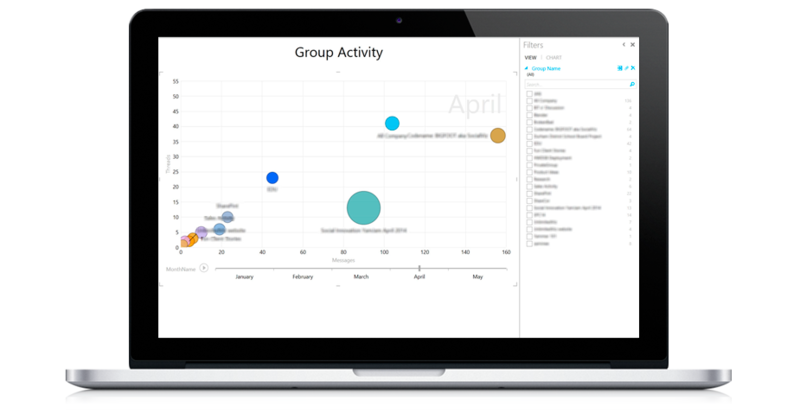 Then we discuss the shift in analytics away from the built in graphs that were available in the original product, towards Yammer Analytics powered by PowerBI.